While the credo pushes for hard work and hard play, it is in the latter more than the former that we sometimes need help. Staying busy from 9 to 5 is, in fact, too easy. So when it's time for entertainment, Star-Bulletin/MidWeek readers have their favorites. 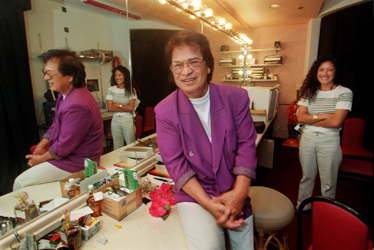 Don Ho's legacy of great music, his love for Hawaii and his ability to make everyone he came in contact with feel special has not been forgotten. Topping such popular figures as Frank Delima and Augie T. for the favorite entertainer, Ho continues to strike a chord with people. For five decades Ho was the living image of Hawaii for the millions who visited and who purchased his recordings worldwide. And most important, for the voters, he was a local boy who made it. Finding something fun for the entire family can be a difficult at times. Everyone has their favorite activity and no matter where you go, someone may be disappointed. Local families have found that Hawaiian Waters Adventure Park is the answer to such a dilemma, voting it the favorite family attraction. The combination of exciting rides and a safe environment with all the amenities makes for one fun day. Skeptical? Just take a look at the faces of the families as they get dunked, sprayed, splashed and slide their way through the day. 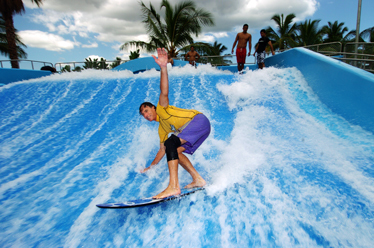 With attractions like the FlowRider, Hawaiian Waters Adventure Park is always a blast. Eddy Galdones, the senior sales and marketing executive manager, says that guests are coming in huge numbers and that the safety measures play a large part in keeping people coming back. "Parents can come in with their kids and their friends and let them go. We do have lifeguards at every stand and ride attendants and they feel safe at the park and that's what makes it so unique." Wait service is a new feature at the park. Now, parents can keep an eye on the kids and have the food brought to them. Free parking is another benefit. Live theater is alive and well in Honolulu, with productions in venues big and small. 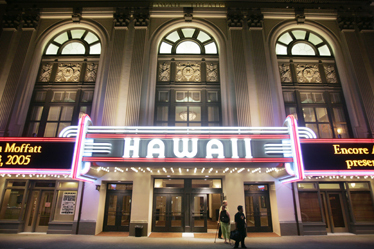 For Star-Bulletin/MidWeek readers, no place is better than the historic Hawaii Theatre. Opened on Sept. 6, 1922, the theater was the spot to see the best of vaudeville, live music and film. After falling into disrepair in the 1980s, and barely escaping the wrecking ball, the theater was refurbished and reopened in 1996 and fans have packed the 1,400 seats for any number of visiting and local acts that range from the serious to the sublime. There isn't a bad seat in the house at Hawaii Theatre. 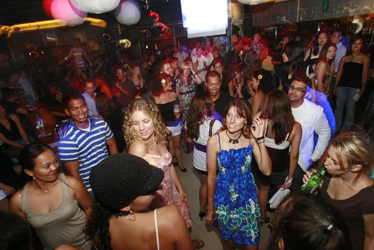 For night spots, there's no place hotter than Ocean Club.